In this type of question candidate is given a phrase ,sentence or paragraph with one or more blank spaces. Candidate must type correct answers in provided blank spaces to complete the phrase ,sentence or paragraph. 1. 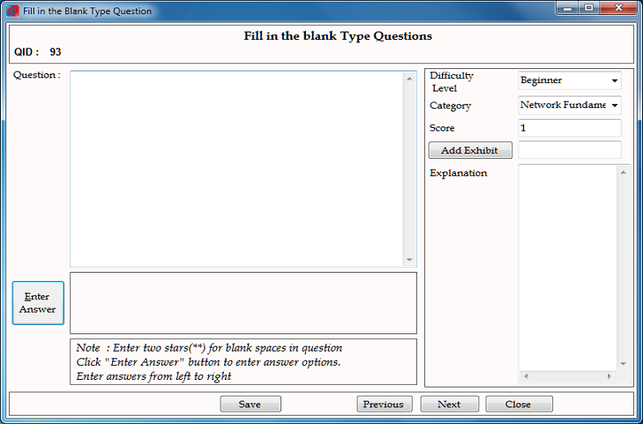 Entering a new question : To enter a new question select "Fill-In-Blank type question" under "Choose Question Type" in Author/Question Type screen and click on "Add New/Insert". 2. 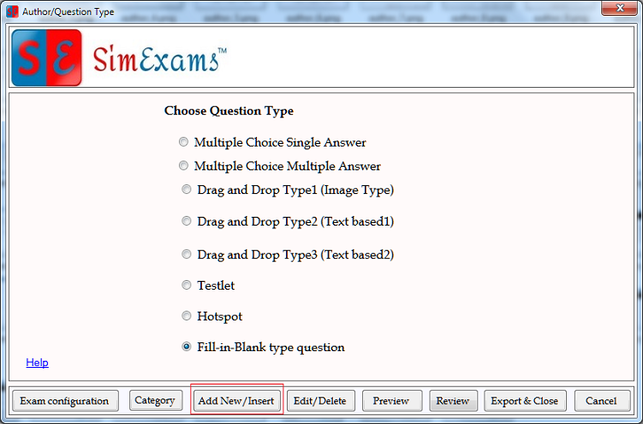 Edit an existing question : To edit an existing question select select "Fill-In-Blank type question" under "Choose Question Type" in Author/Question Type screen and click on "Edit/Delete".